Paranormal UK Radio Network offers a variety of paranormal talk radio shows that cover all aspects of the strange and paranormal in the United Kingdom and beyond! 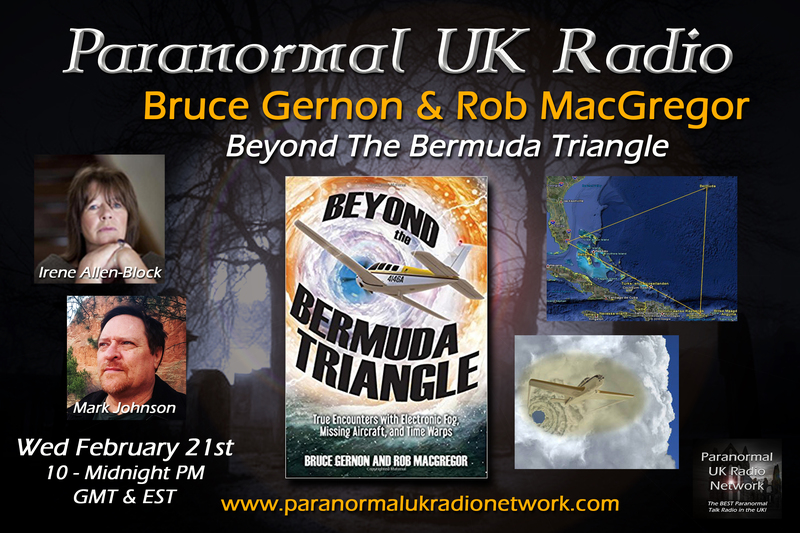 Irene and Mark speak with authors Bruce Gernon and Rob MacGregor about Bruce's encounters in the Bermuda Triangle. This entry was posted on Thursday, February 22nd, 2018 at 4:17 pm	and is filed under DefaultTag.